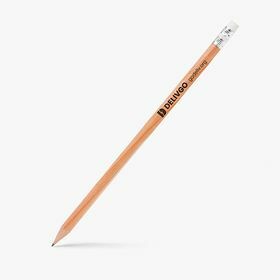 Personalised pencils are relatively new when you take into account the whole timeline of pencils. Up until 1565, silverpoint was an alternative to the pencil when it came to sketching and drawing but then a large deposit of solid, high-purity graphite was found and was easily crafted into sticks. Due to the unadvanced nature of chemistry at the time the element was mistaken for lead and it is for this reason that many people still believe today that pencils are filled with lead and not graphite as the correct term graphite pencil more accurately suggests. Requiring some form of encasement due to its softness, graphite was originally wrapped in string or sheepskin before more practical alternatives like wood were used. What kind of personalised pencils can you have nowadays? 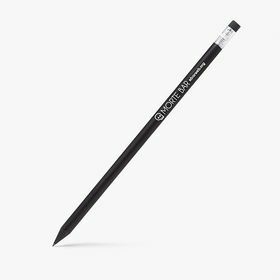 Now the more known standard pencil of today is modified in all types of ways, from adding an eraser to the top of the pencil for an easy solution to a mistake to painted body pencils, adding a touch of colour to what is a product made from materials with very natural and earthy colours. Besides the colours, you can also find different shapes of pencils, be it the more compact flat and oval style that came from the Bernacotti's around 1560, or the hexagonal, triangular, and circular shapes that tend to be more often seen with modern pencils. Mechanical pencils are another way that the pencil has adapted and makes a nice alternative from the standard design. Some people prefer the mechanical pencil for writing with because of its ease of use and ability to be re-filled with new lead however an artist or graphic designer loses the valuable ability to sketch as well with what is typically a far thinner lead and point. 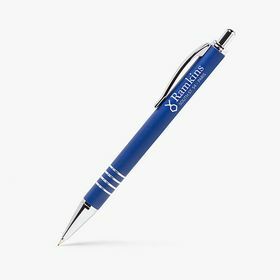 Mechanical pencils tend to be made from plastic or metal, the latter making laser engraving possible for the printing of your design for a personalised pen. Laser engraving leaves a very precise and accurate finished design and adds an extra drop of elegance to the item. Pad printing or otherwise known as tampoghraphy is a popular method for printing on pencils. The unique properties of the silicone pad enable it to pick the image up from a flat plane and transfer it to a variety of surfaces, such as flat, cylindrical, spherical, compound angles, textures, concave, or convex surfaces. The silicone pad that is often used has unique properties allowing it to pick up an image from a flat surface and transfer it to any number of surfaces with different contours with no problem. 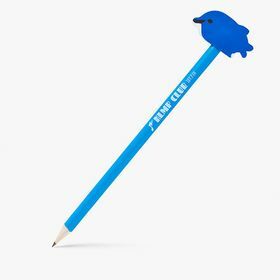 It can tackle flat, cylindrical, spherical, compound angles, textures, concave, or convex surfaces making it super versatile and fantastic for a product like personalised pencils where a variety of shapes are possible. While it is fantastic to be able to hand your customers a product with your logo on, it is even better to be able to hand them a set of products, all with your logo proudly displayed. Take a look at personalised pens and personalised highlighters to see how you could complete your collection of writing instruments.